Cheers to You! - Schaefer Advertising Co. 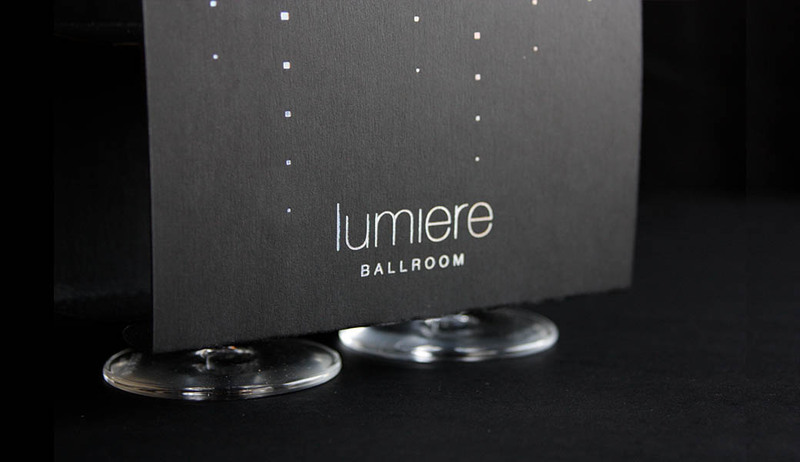 Remember when we developed a unique brand and identity for the Hurst Conference Center’s bridal market, Lumiere Ballroom? We’ve continued to promote this unique positioning to the local bridal market through both traditional and non-traditional means. The goal of our most recent campaign was simple: book more tours. We knew that by viewing the venue, with it’s simple elegance and central location, wedding and reception bookings would increase. Through a digital campaign, we geo-targeted brides with the message ‘Cheers to You!’ in celebration of their engagement and the excitement to come on the big day. By booking a tour with the Hurst Conference Center, couples would receive a complimentary champagne flute set. 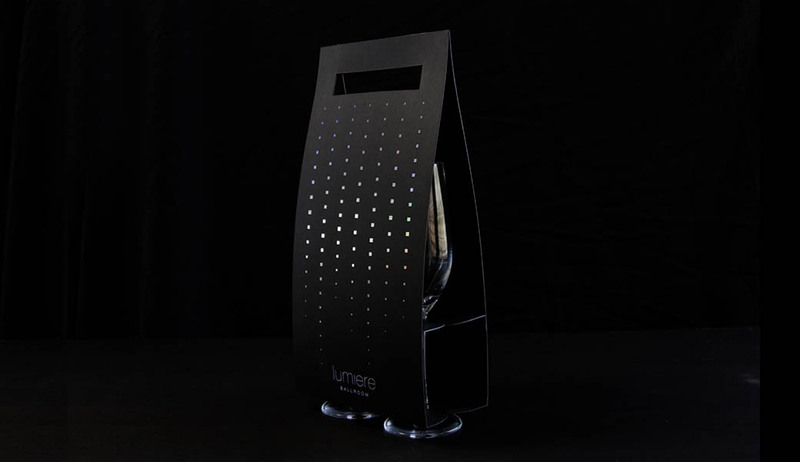 Developing the custom packaging came with it’s own set of challenges. Functionally, it needed to be collapsible, easy to assemble and structurally sound. There may (or may not) have been a few flute casualties in the development phase, but through trial, error and a little paper engineering, we created a carrier that met all requirements. 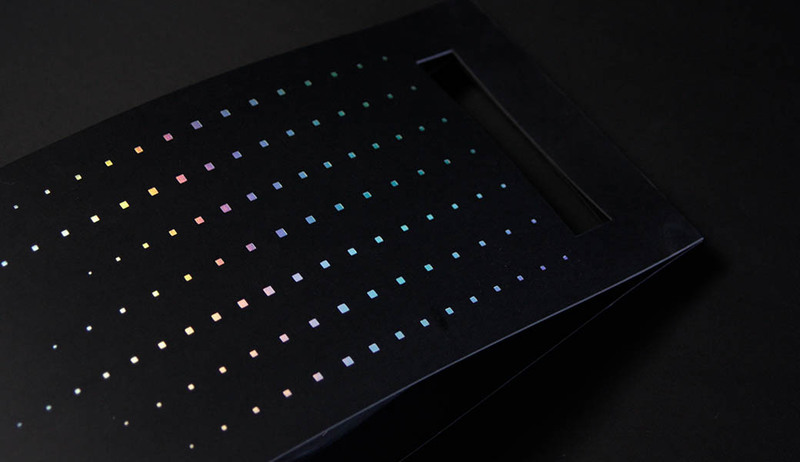 The flute packaging was constructed with Neenah folding board and stamped with holographic foil. 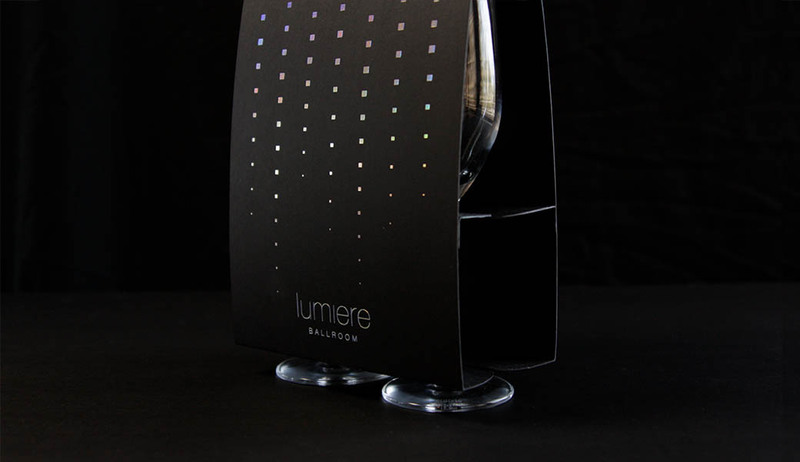 The silver-based, rainbow hue mimics the iconic fiber optic star-field chandelier, making it a perfect solution to bring the abstracted Lumiere Ballroom logo to life. 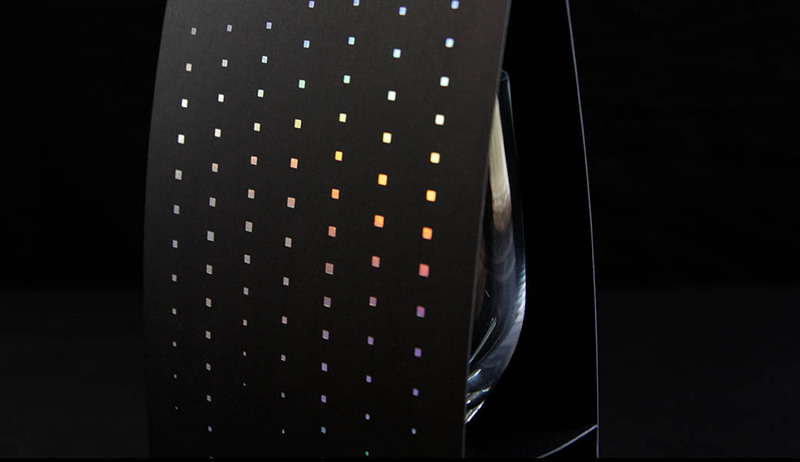 Since holographic foil happened to be on our design bucket list, we killed two birds with one, err, rainbow. Upon receiving the first press sheets, giddy excitement and dancing in the sunlight ensued. 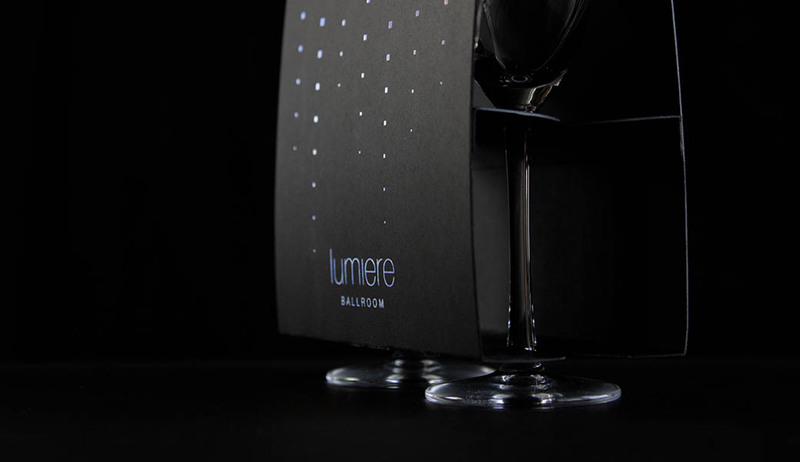 Since you may not be able to see it in person, check out the foil in action above.